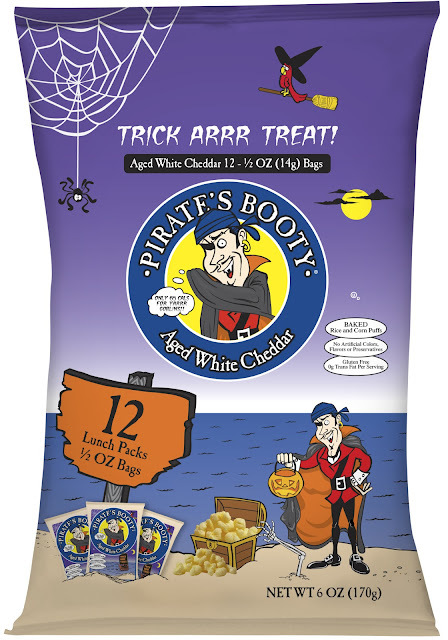 Trick Arrr Treating this Halloween with Pirate's Booty! This Halloween, we are giving out the GOOD STUFF! 'Cause we are handing out Pirate's Booty this year instead of GMO-filled, artificial ingredient filled, high sugar candy! I care too much about my neighborhood kids (and my own kids!) to give them that crappy candy! So instead I am giving out the good stuff and I think the kids will love it! I know my kids do! 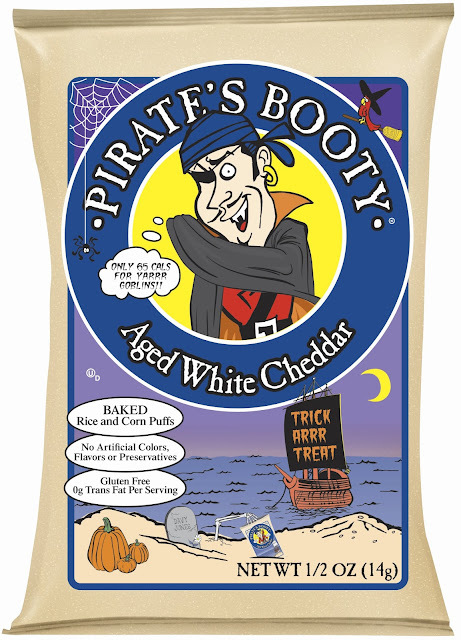 Plus, if you want to be cool like me, Pirate's Booty has a super fun Halloween styled 12 Pack – Aged White Cheddar ½ oz. bags that are perfect for handing out! The individual Pirate’s Booty pack offers a healthy alternative to passing out candy, and it’s still a treat for the kids but without the added sugar! And for those looking for an orange treat to brighten up a Halloween party or to serve on the counter, Pirate’s Booty also recently released new Carrot Snacks which come in a 4 oz. bag. Bright orange and incredibly crunchy, these baked carrot and corn puffed treats will keep Halloween’s festivity as center focus. Parents can feel good about what is inside them while kids won’t even realize they’re crunching on Vitamin A. My children love these so much and I love them even more because these snacks are non-GMO and good for my kids! So this Halloween, make a difference in your neighborhood and give the children not only something that is a healthier alternative but also tastes great too! 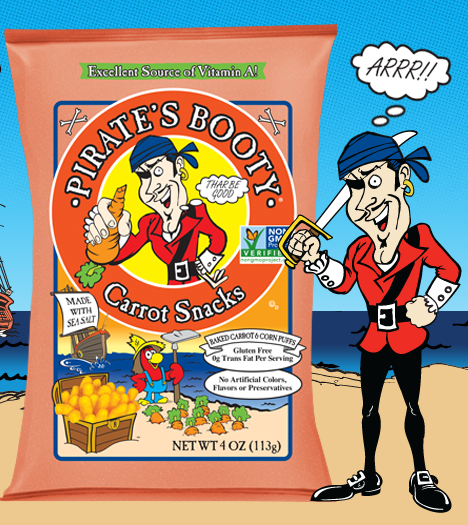 You can purchase Special Halloween-themed packs of ½ oz Pirate’s Booty Aged White Cheddar & Carrot Snacks in stores nationwide this fall.